Kalli Purie has struggled with her weight since childhood and has finally found a weight she is happy with. Mostly. The diets featured here are structured rather like episodes in her life, full of characters, anecdotes and juicy nuggets of weight wisdom - from surya namaskars set to Bollywood beats to drastic coconut water diets, from a dark experiment with bulimia to a love affair with a self-concocted champagne diet. In this candid tell-all, Kalli looks at weight-related complexes, myths and dilemmas straight in the eye and tells us not just what to do but how to do it. Kilo by kilo. 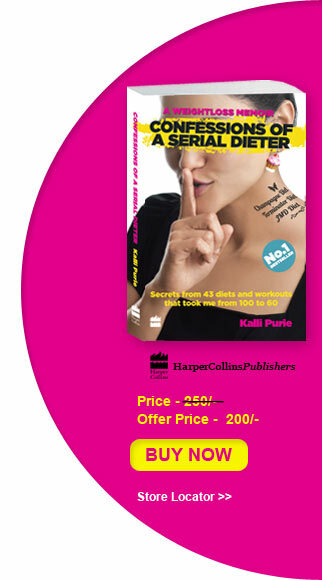 The story of weight lost and a life gained, Confessions of a Serial Dieter will make you believe you can do it, whether it's losing those stubborn last three kilos or chasing your dream!